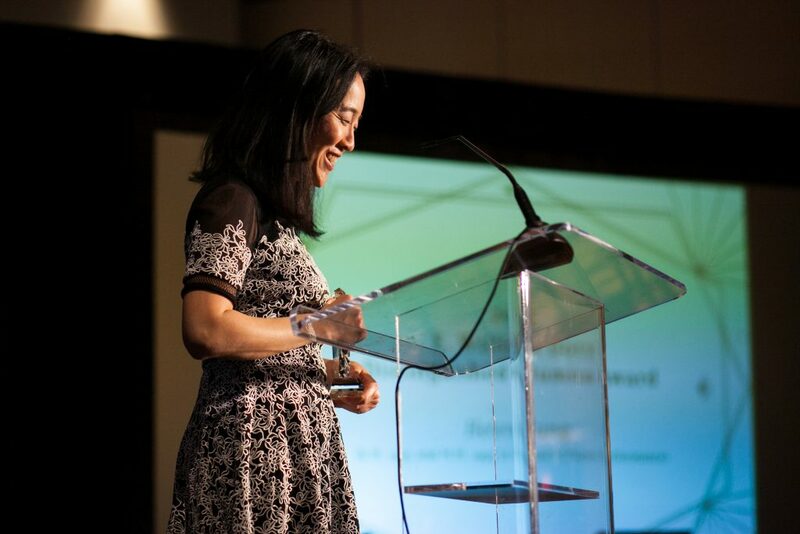 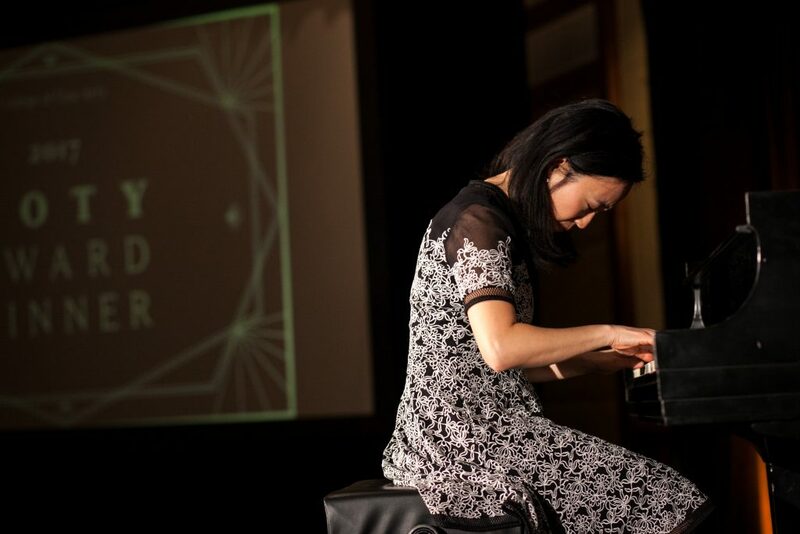 Pianist Helen Sung sits and performs a tune after receiving the E. William Doty Distinguished Alumna Award on January 27, 2017. 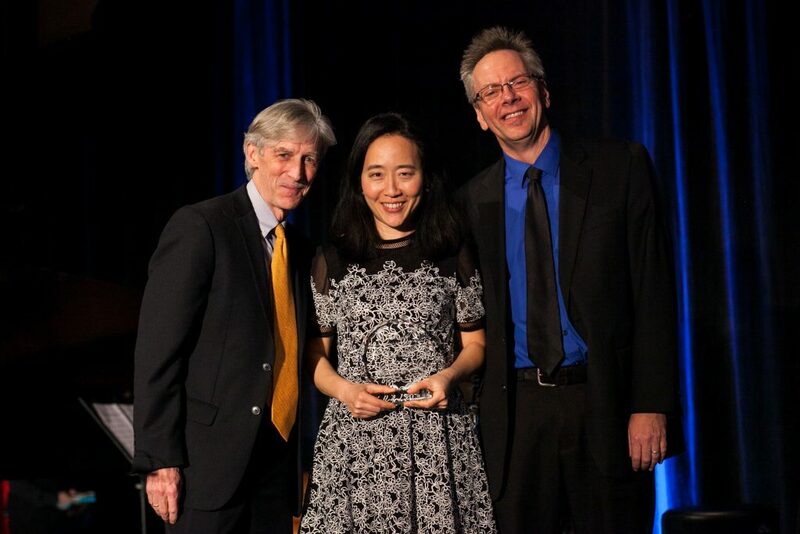 Dean Doug Dempster, Helen Sung, and Professor Jeff Hellmer at the Doty Award Dinner on January 27, 2017. 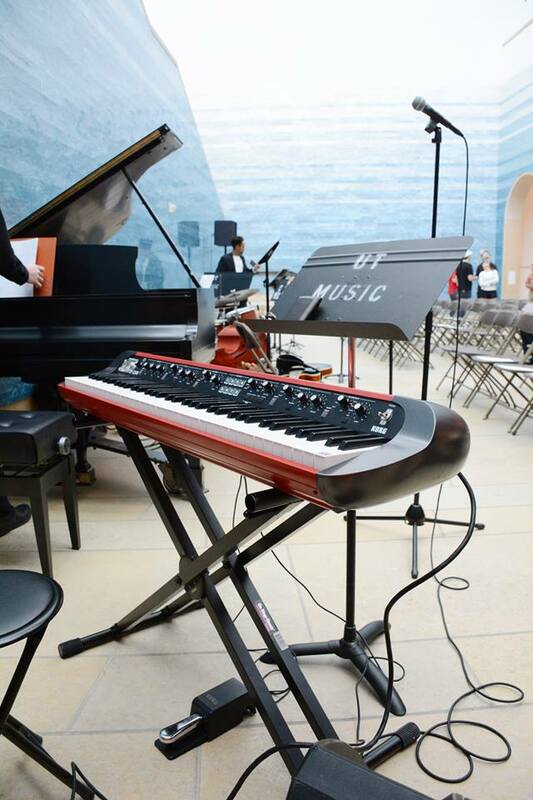 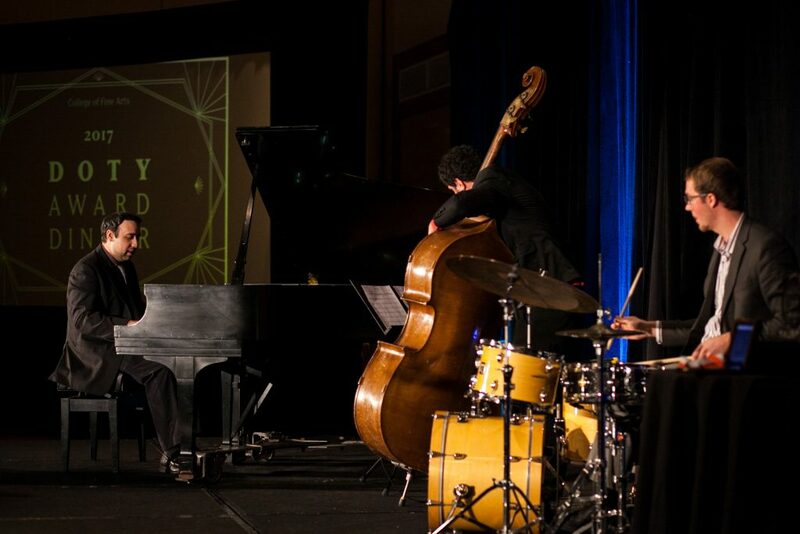 Ross Margitza trio performing at the 2017 Doty Award Dinner honoring alumna pianist Helen Sung. 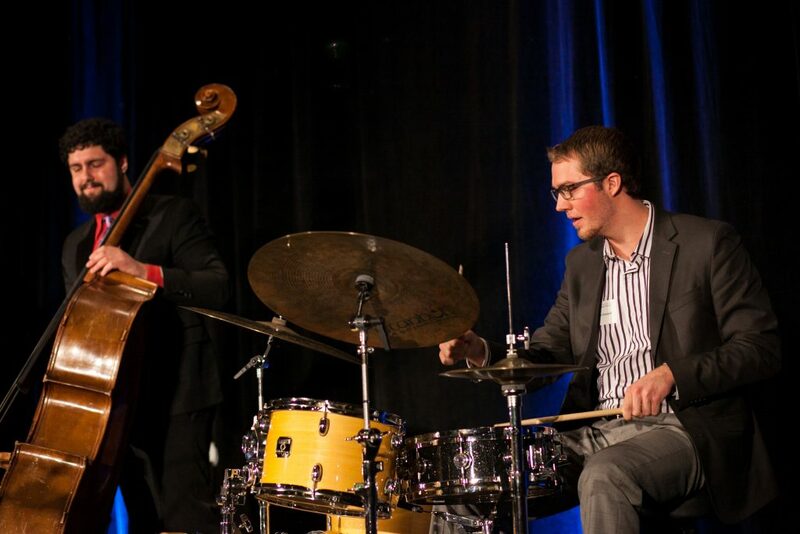 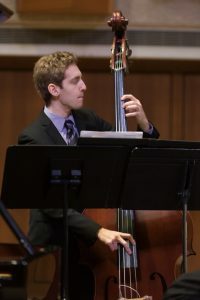 Bassist Alex Browne and drummer Don Gozzard performing at the 2017 Doty Award Dinner honoring alumna pianist Helen Sung. 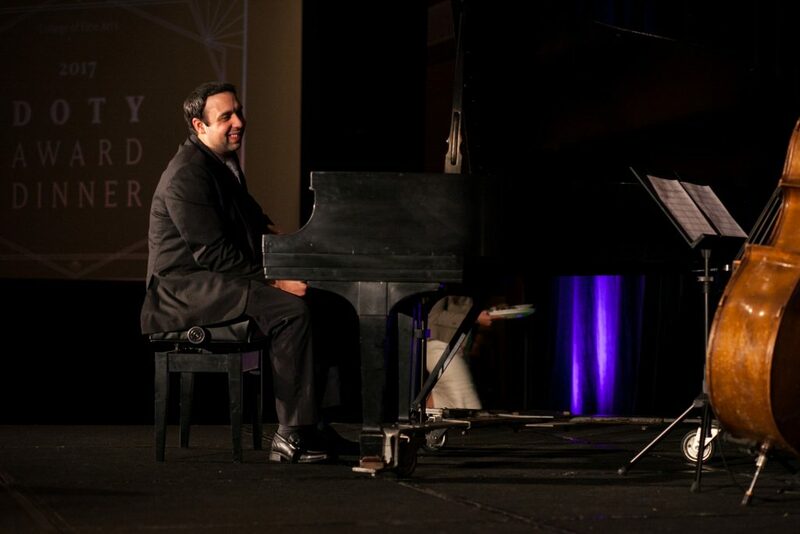 Pianist, Ross Margitza performing at the 2017 Doty Award Dinner honoring alumna pianist Helen Sung. 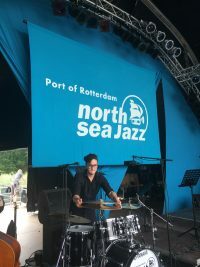 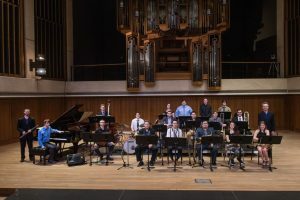 The 2016-2017 UT Jazz Orchestra poses for a group shot as they begin preparing for their 2017 European tour, which includes performances at the Montreux and North Sea Jazz Festivals. 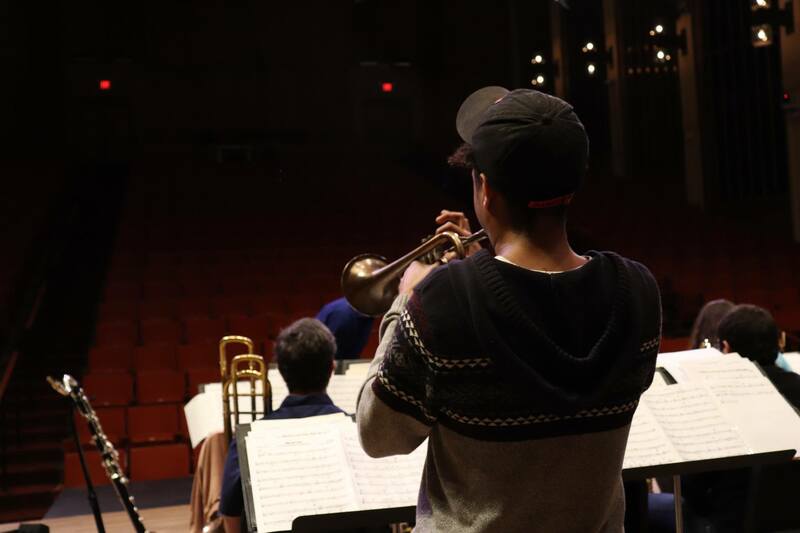 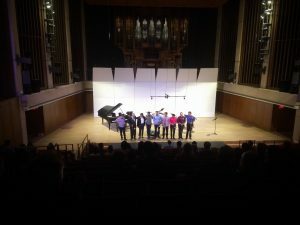 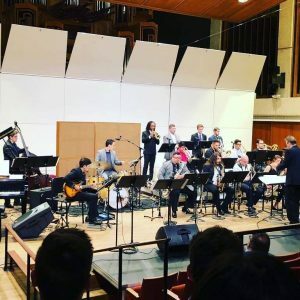 The UT Jazz Orchestra playing in Bates Recital Hall at the Butler School of Music. 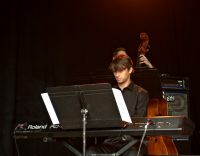 Director Jeff Hellmer is on the left. 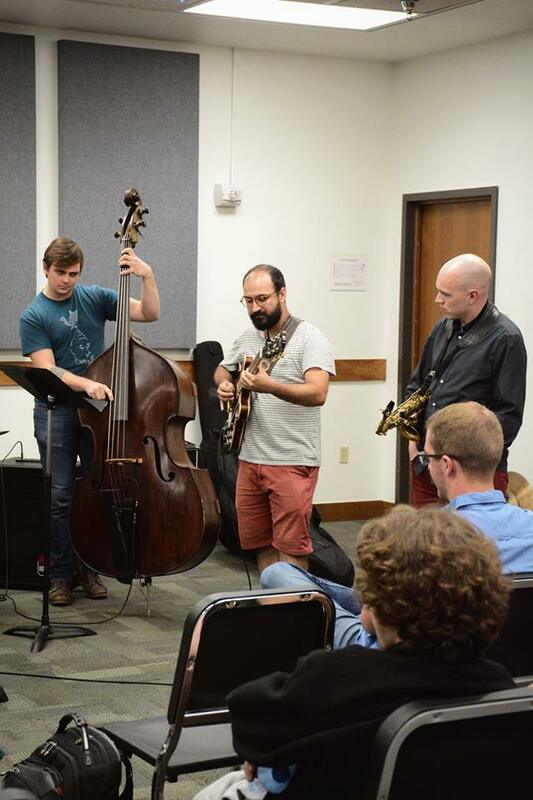 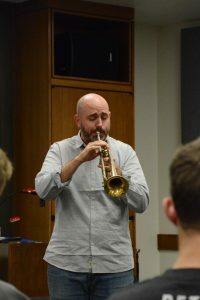 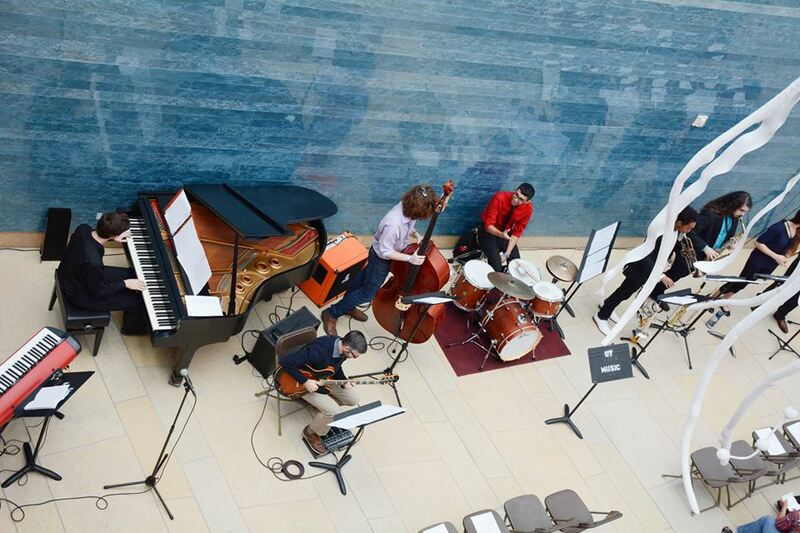 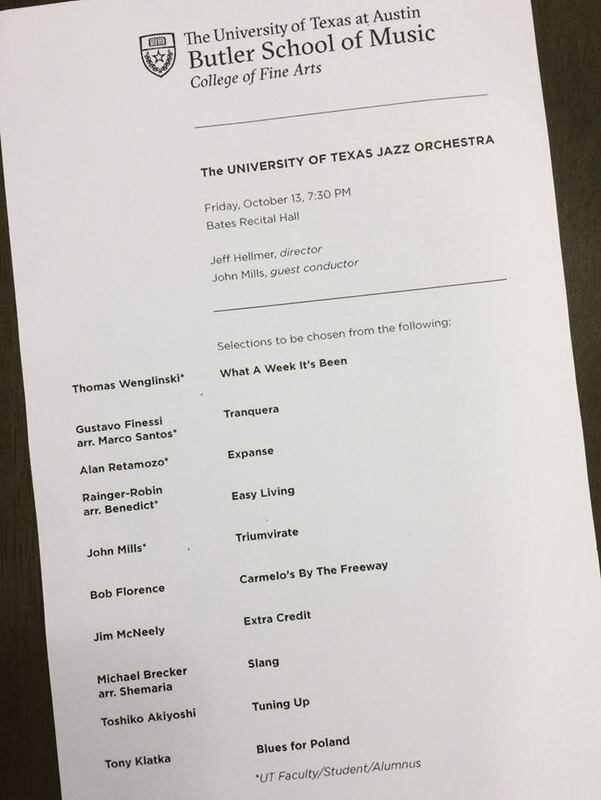 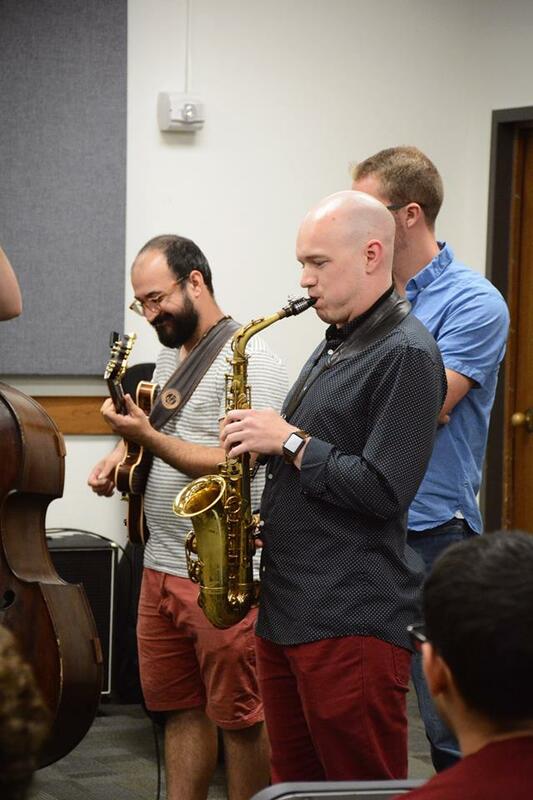 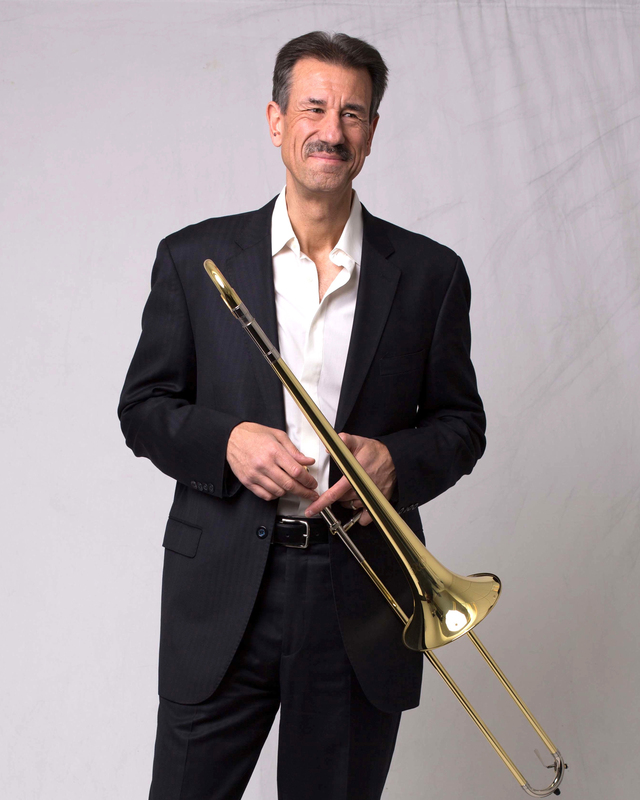 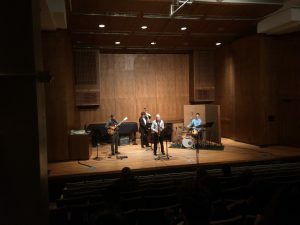 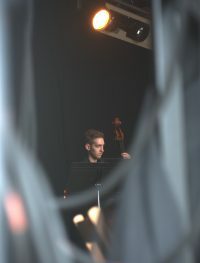 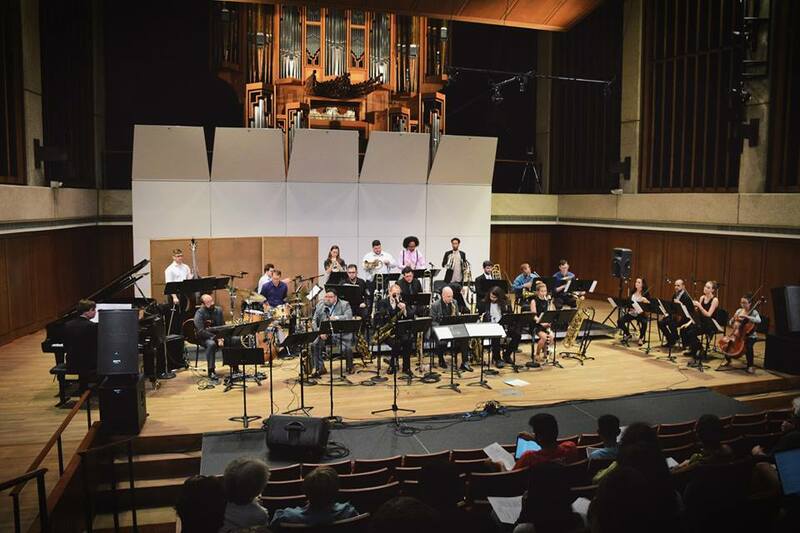 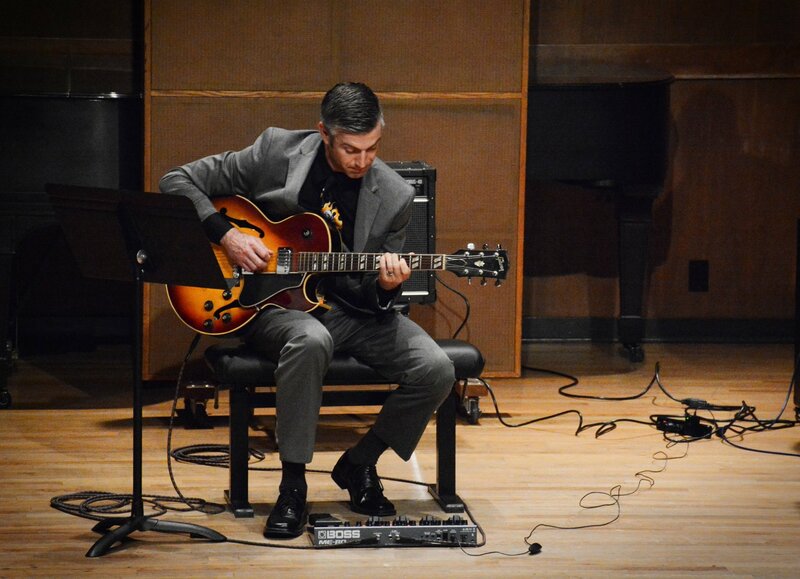 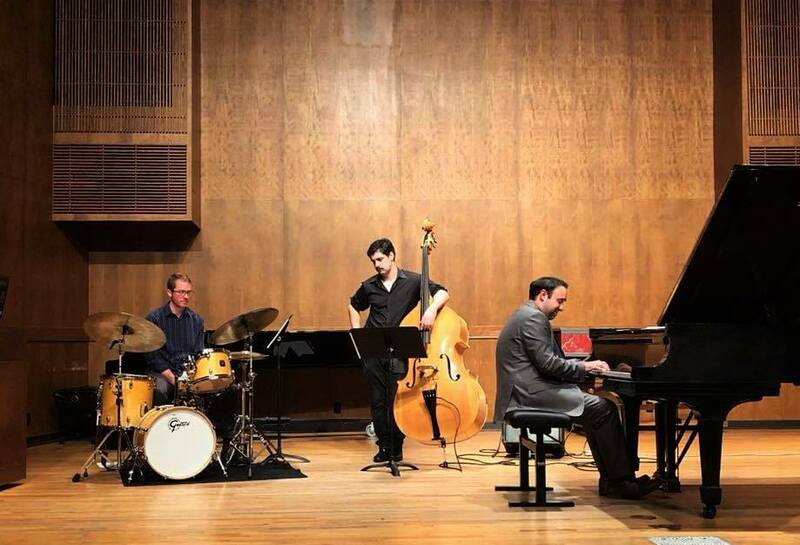 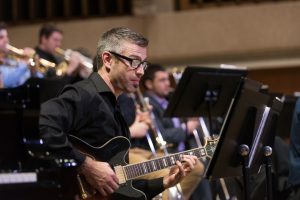 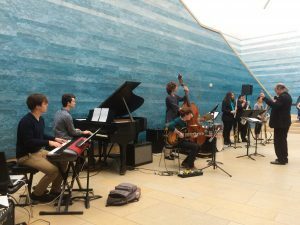 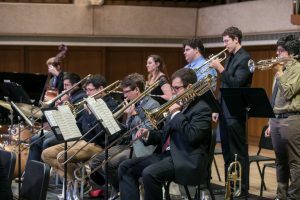 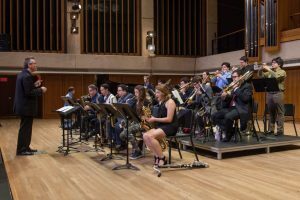 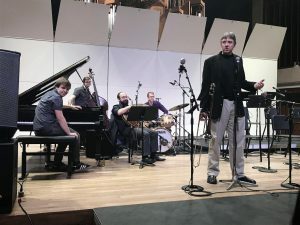 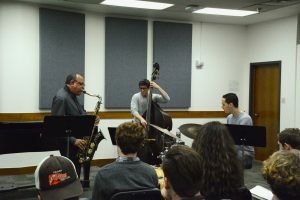 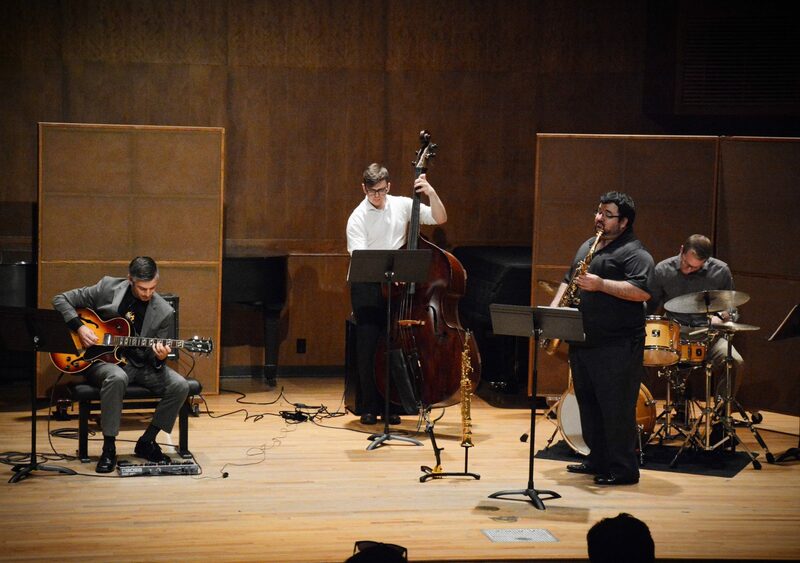 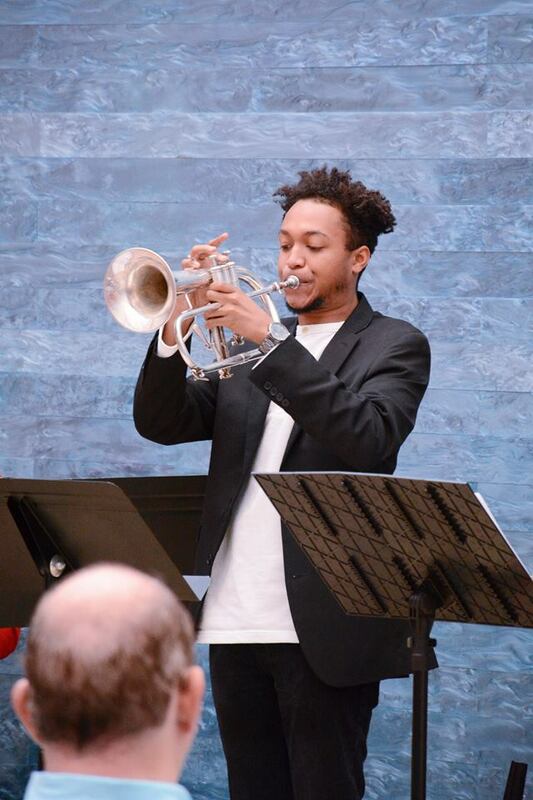 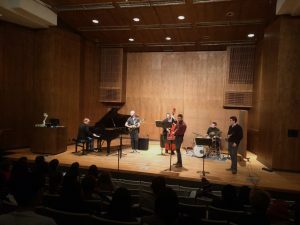 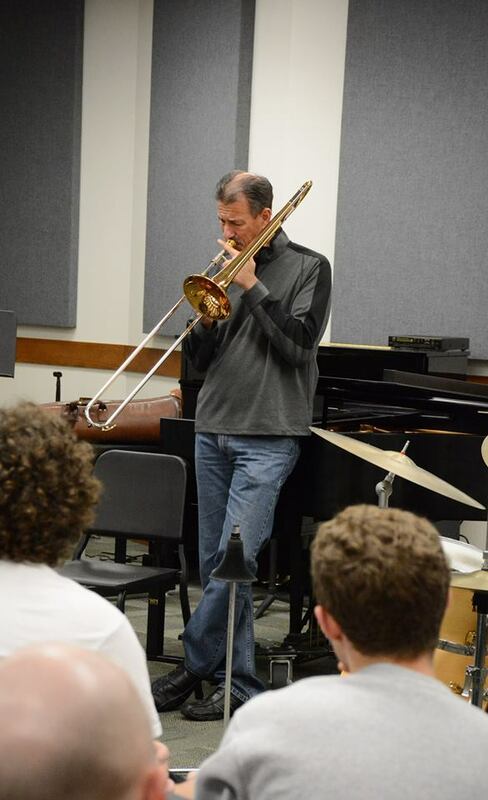 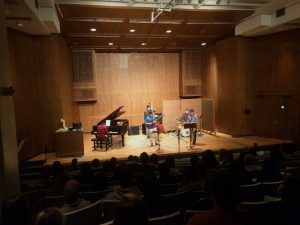 Ben Zeff plays guitar with the UT Jazz Orchestra. 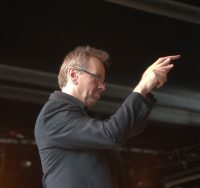 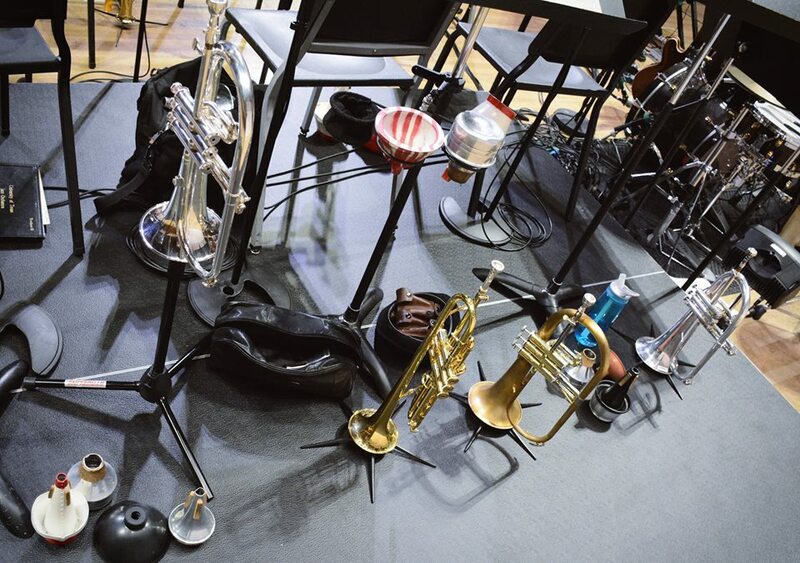 The JO brass section is in the background. 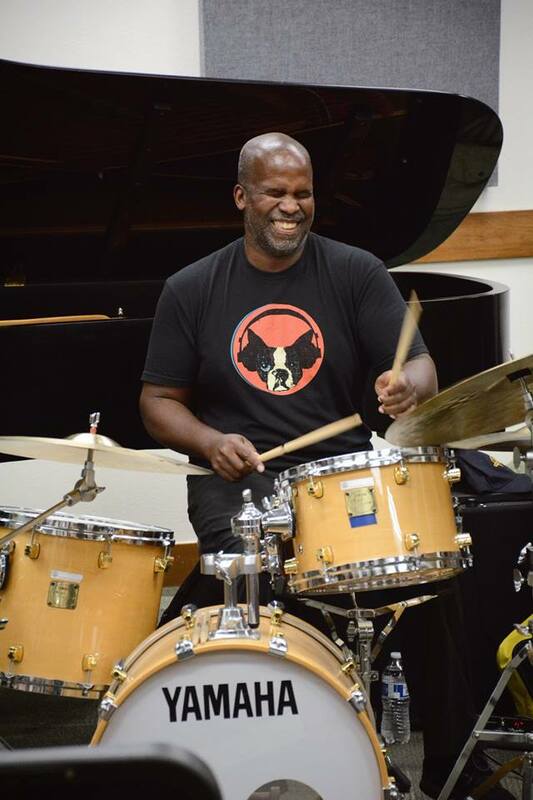 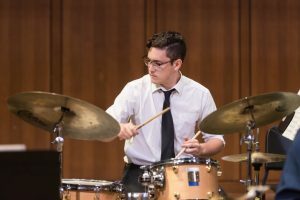 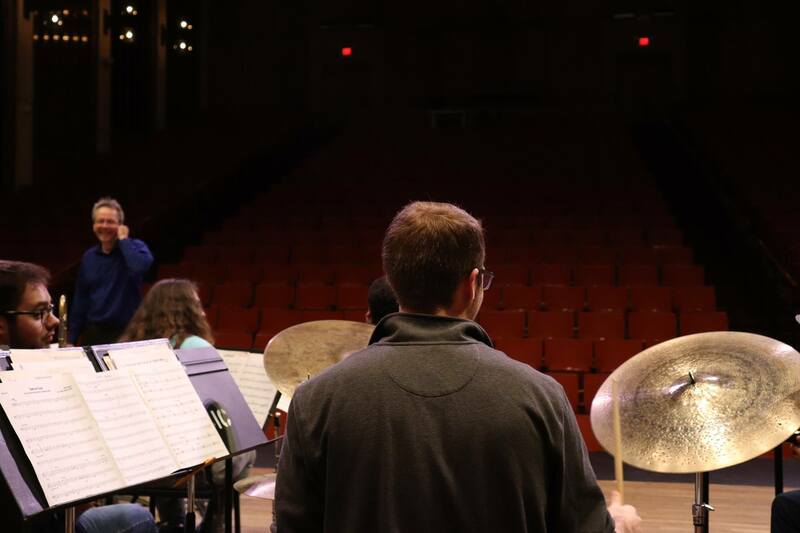 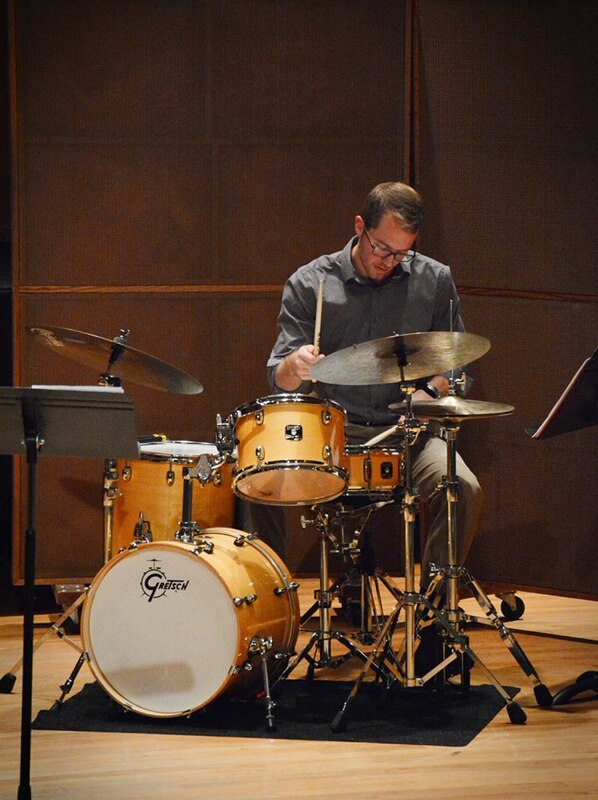 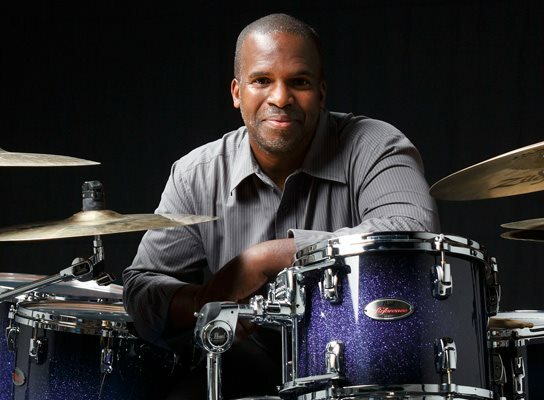 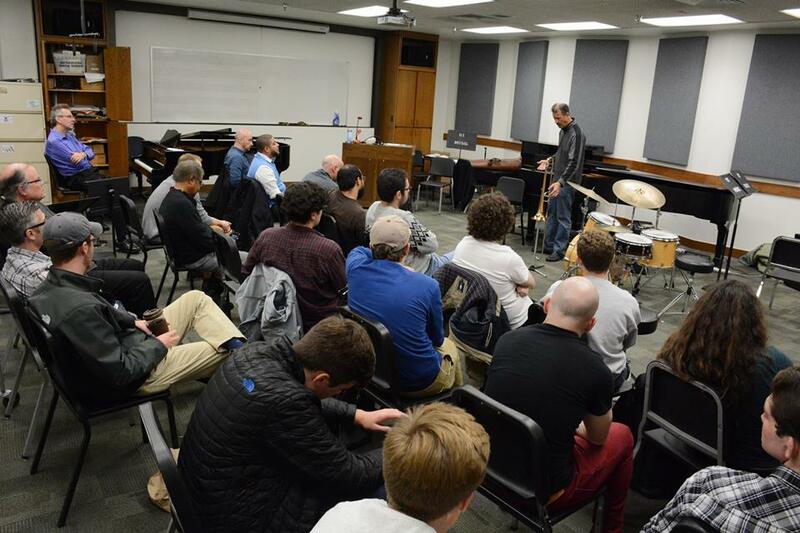 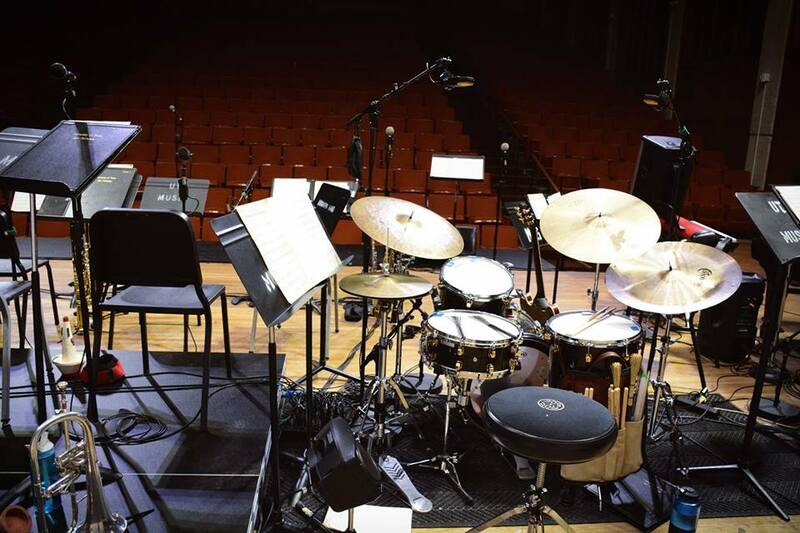 Greg Clifford takes a drum solo with the UT Jazz Orchestra in Bates Recital Hall. 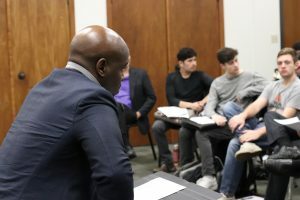 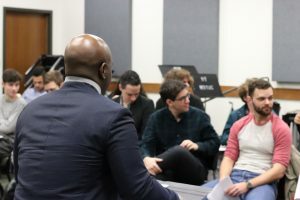 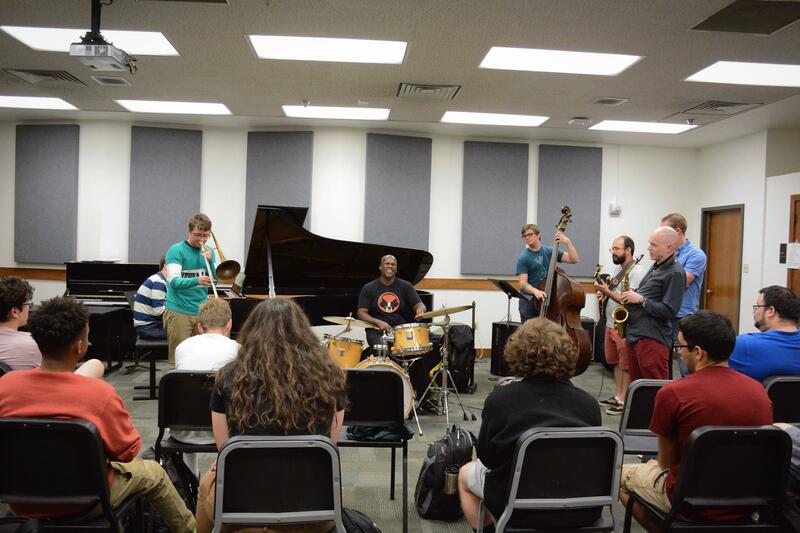 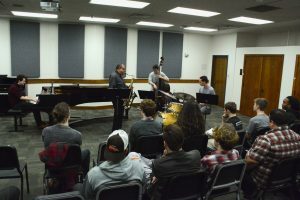 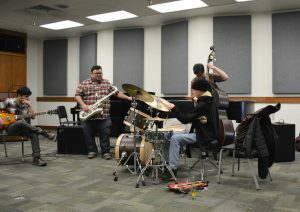 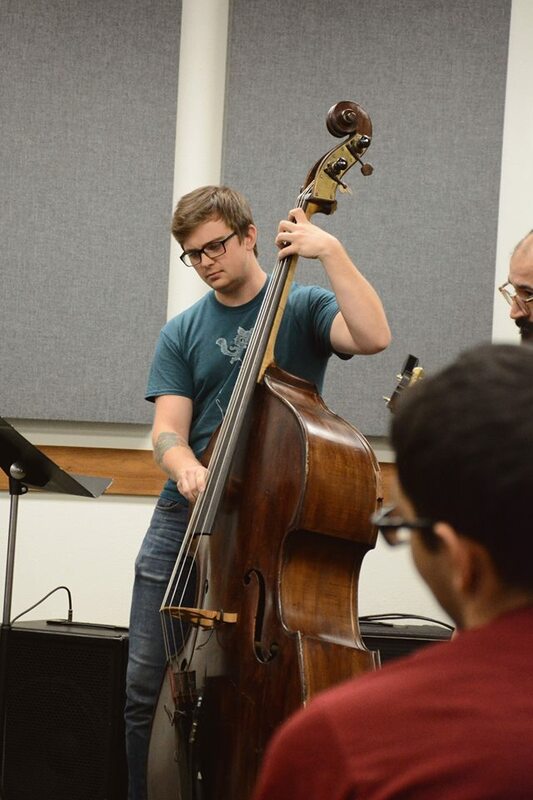 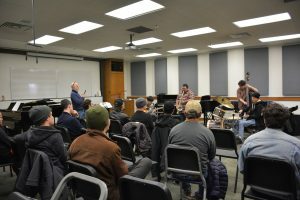 Bassist Chase Goldman holds down the low end of the UT Jazz Orchestra. 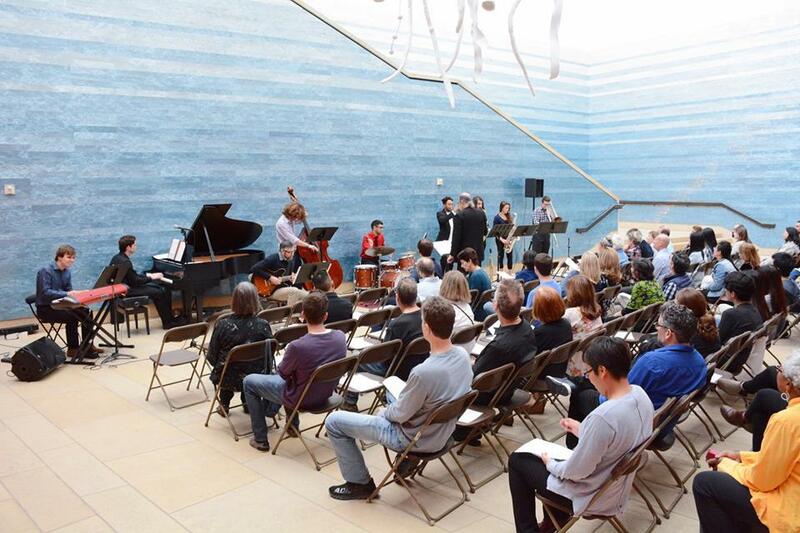 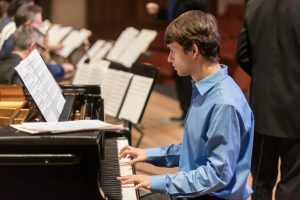 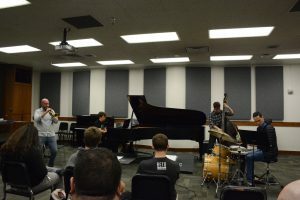 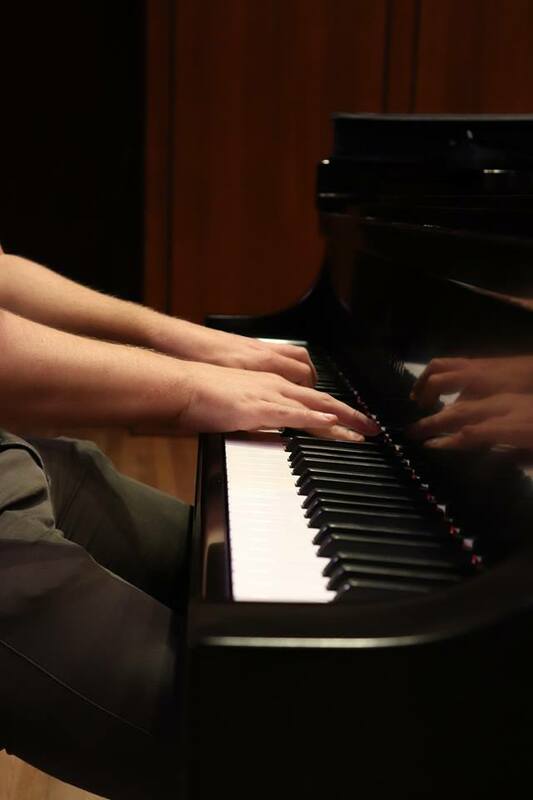 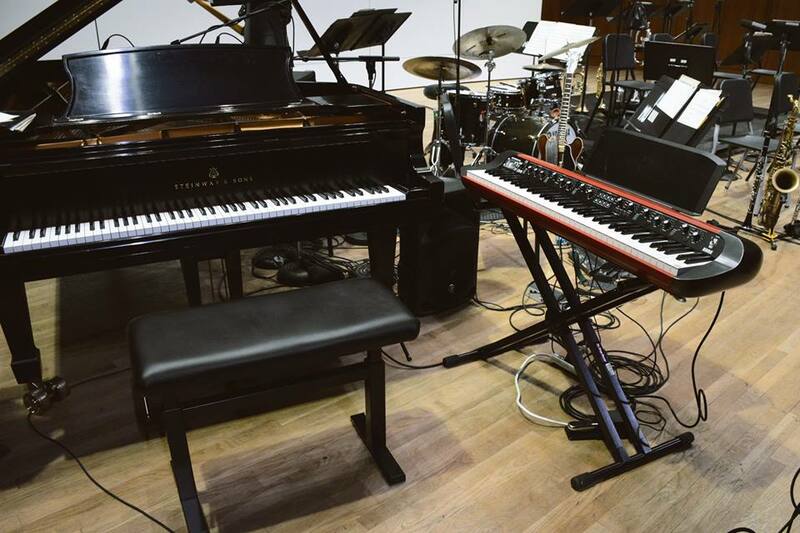 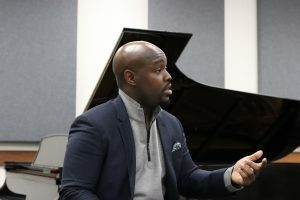 Austin Thomas plays piano with the UT Jazz Orchestra in Bates Recital Hall. 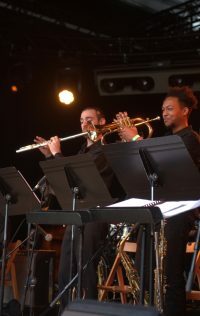 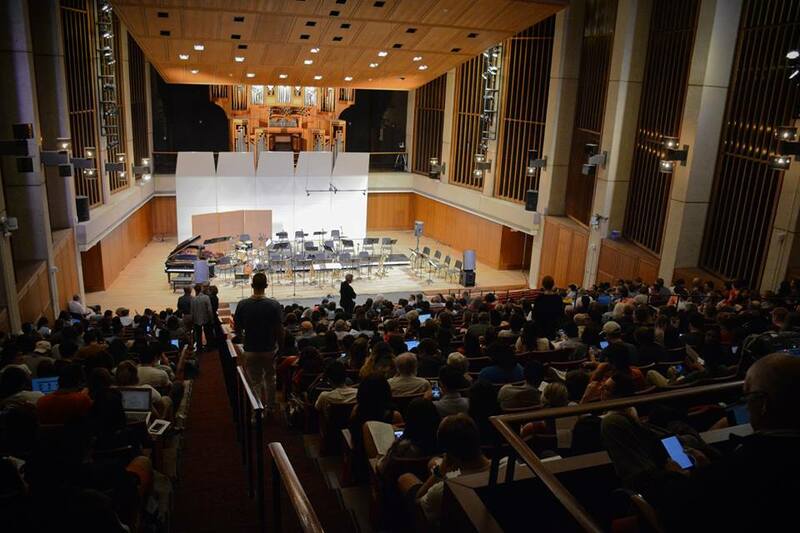 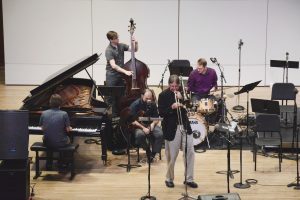 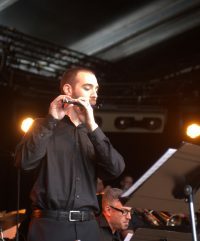 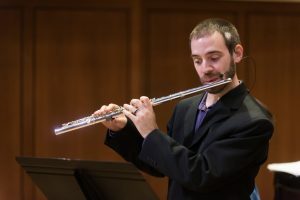 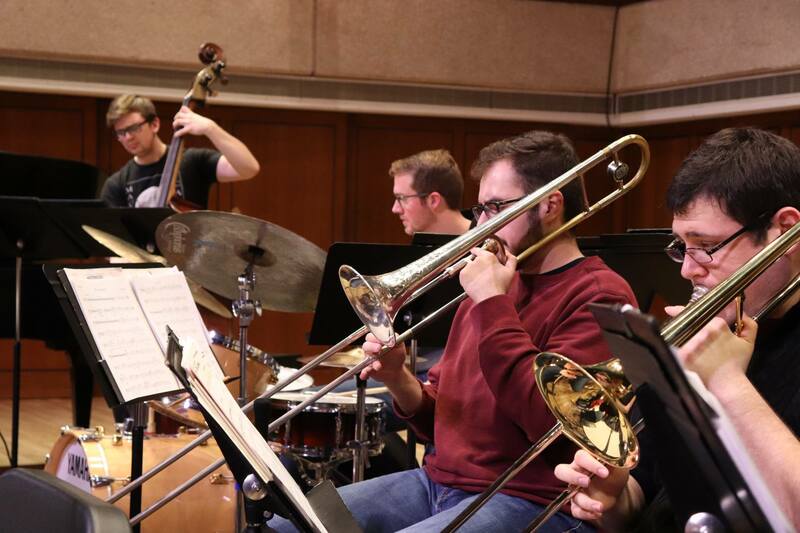 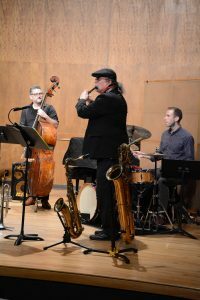 Flutist Bryan Kennard plays one of his compositions with the UT Jazz Orchestra. 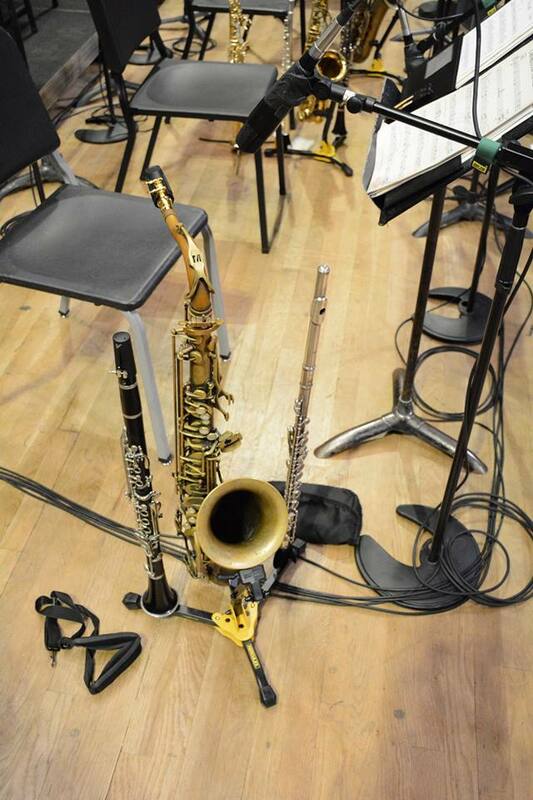 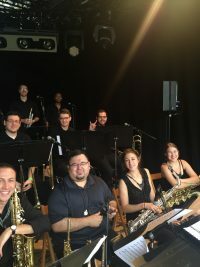 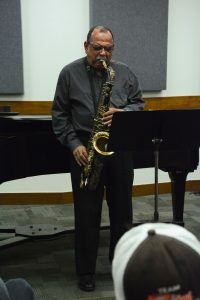 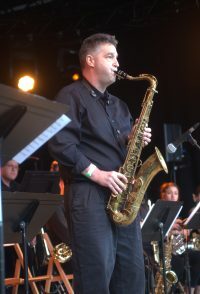 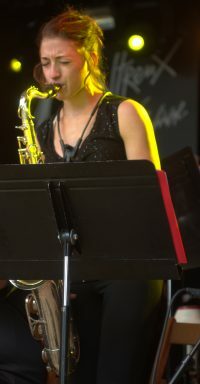 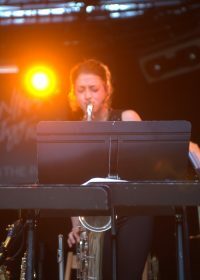 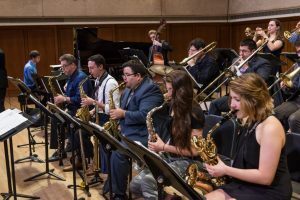 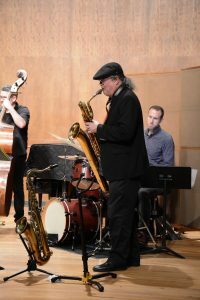 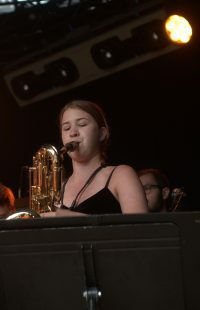 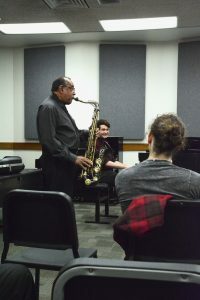 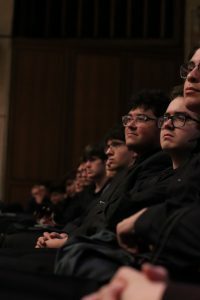 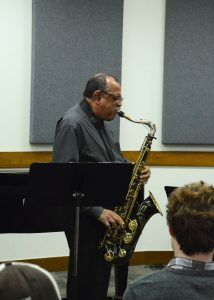 The UT Jazz Orchestra saxophone section. 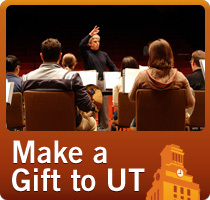 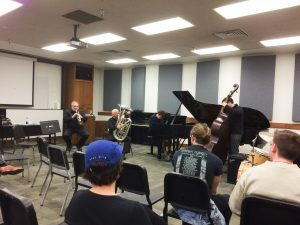 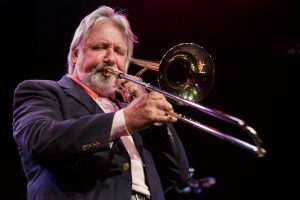 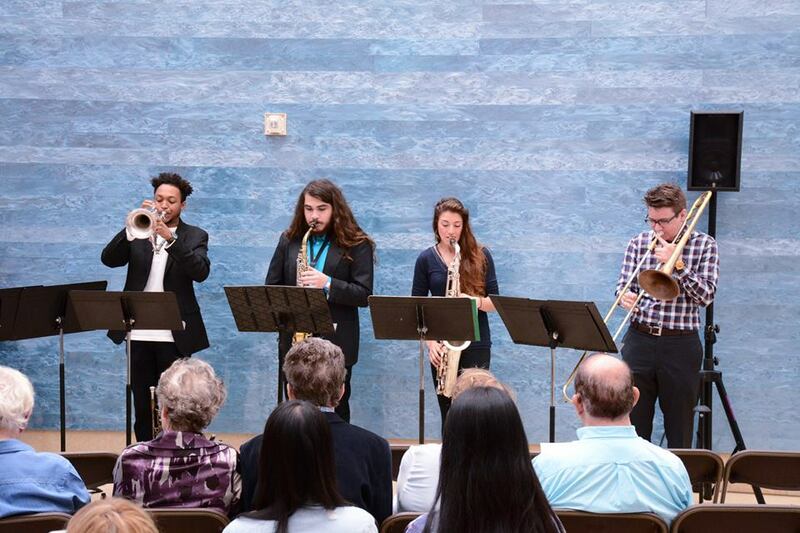 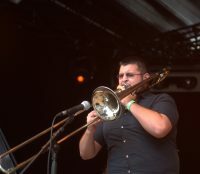 The UT Jazz Orchestra brass section.